Logistics technology issues too often bring businesses to a halt. 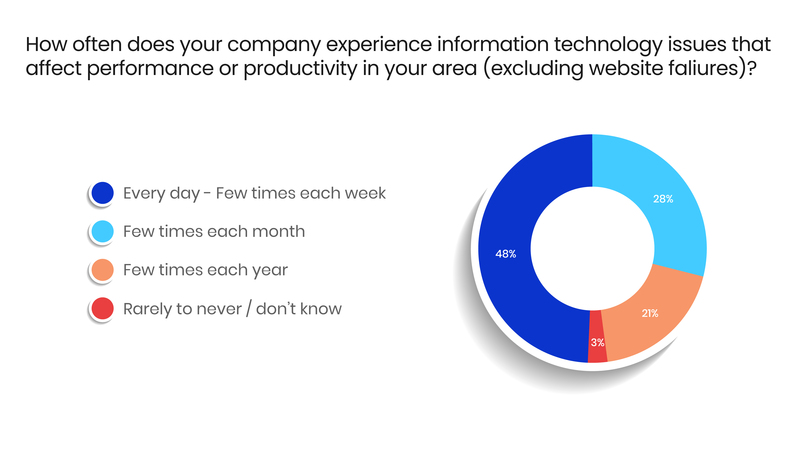 In a study by Compuware, almost half of respondents (48%) reported that technology problems happen anywhere from a few times a week to every day. Seventy-five percent reported that the frequency of technology failures is staying the same or increasing. More often than not, the problem goes beyond what meets the eye. A technology issue usually has an underlying cause that could easily have been avoided. Over the last two years, we have provided logistics tech support for over 266 businesses and collected data from 10,451 technology support requests received. In this article, we’ll highlight the five most common logistics IT problems impacting small- and mid-size supply chain companies. Poor warehouse wireless coverage, network instability, and random handheld disconnections make it to the top of the list. Around 87 percent of the companies that we have worked with experienced one of these problems. Very often, wireless networks are installed by companies that are not logistics systems integrators, and they are unfamiliar with the particular challenges of implementing a warehouse wireless solution. This ends up causing the network to malfunction often because it does not meet the needs of the warehouse. Driven by the desire to reduce costs, companies very often select wireless solutions that are not intended for warehouse environments, handheld devices that are not compatible, or second-hand equipment that is often ineffective. Not-standardization between a hardware vendor and device model will create major headaches and a painful troubleshooting process when things go wrong. Standardization among a vendor, device model, and system configuration will help to avoid issues. Logistic companies need to print shipping labels and scan documents quickly. The inability to do so can cause productivity lags and other problems along the supply chain. For the most part, printing and scanning related issues include: users not being able to print/scan due to connectivity issues, printer alignment problems, not knowing how to identify the proper printer in the network, printers not available in the WMS/TMS systems, scanned documents taking too long, and driver incompatibilities. Lack of proper planning. Many organizations fail to plan (or hire someone to plan) the deployment and management of their printing and scanning infrastructure in a way that is reliable and simple to manage. Decentralized management of printing infrastructure. You should standardize and centralize the management of the printing infrastructure as much as possible. For example, install all printer drivers on one server and manage all the printers from there. This reduces complexities and administration overhead. At the core of most of the supply chain business, two systems play a critical role: Warehouse Management Systems (WMS) and/or Transportation Management Systems (TMS). The critical role of WMS & TMS are often underestimated by decision makers when selecting the right TMS/WMS solution for their company. System instability. Most software has services—a subset of applications within the software that perform specific functions for the program. 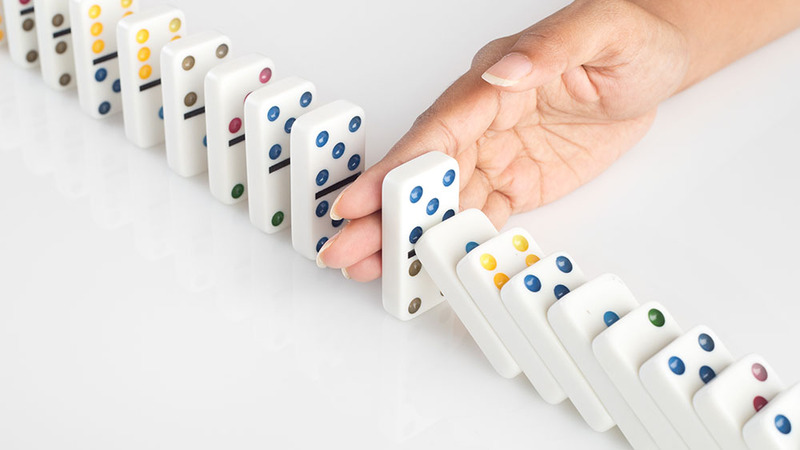 Recurrent service failures cause system instability, especially if the service(s) plays a critical role within the application. This is a very common problem across many WMS and TMS systems. Improper software updates. Companies tend to introduce new software updates before properly testing them, which creates unplanned downtime. Poor quality database systems. Before buying a WMS or TMS, businesses might fail to evaluate them against business needs and future growth. As the business and the amount of data stored in the WMS or TMS grows, system performance degrades because databases are not properly designed for scalability. Your technology infrastructure is composed of computers, network devices, servers, and software. This is the technical core of your business—the central component that interconnects people and data. This is where processing and sharing of information happens, including sales quotes, emails, bills of lading, and more. Very often, this core component of the business is undervalued, resulting in system problems that impact business productivity and creates customer dissatisfaction. The most common infrastructure issues that we’ve encountered across logistic companies include: slow network speeds, random network disconnections, computer and server performance degradation, security breaches, and unreliable equipment or software. Technology underinvestment driven by the desire to reduce costs. This becomes counterintuitive, because you end up increasing costs as a result of operational deficiencies or the need to re-install the solution to get things working right (e.g. implementing home technology solutions instead of business solutions). Last but not least is technology management. This is one area where we see a lot of deficiencies originating. There’s a misconception amongst decision makers that technology can be implemented without being managed. Well, I’m here to tell you that this is not the case—especially if you expect things to run smoothly. Technology, like everything else in your business, needs to be properly maintained. The truth is, failing to properly and proactively manage technology exposes the business to technology failures and security breaches. Lack of proactive maintenance plans to keep systems up to date, with the latest security and software updates to correct software and system bugs. No historic I.T. operational data to make informed technology investment decisions and detect operational deviations. "According to Compuware’s study, 52% of responders classified supply chain operations as critically dependent on technology operating effectively, 43% consider it critical in distribution departments, and 39% in shipping & receiving." Technology is a living breathing organism and a crucial part of any supply chain business. IT decisions need to be made AFTER considering what is right for your business. Then technology infrastructure needs to be implemented and managed properly so security breaches, unscheduled downtime, and all the other issues we discussed today do not happen to your business. If you want more content, you can follow us on LinkedIn, YouTube, Twitter or Facebook. If you have other inquiries, you can also message us in our contact page. We’ll be very glad to help.